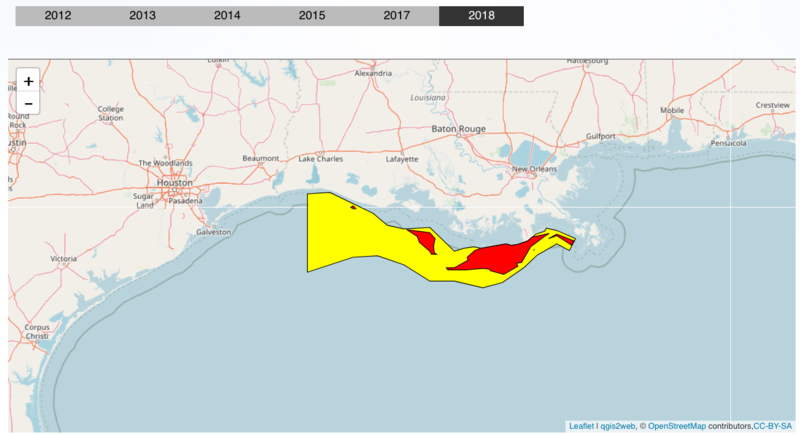 HOUSTON – A "dead zone" in the Gulf of Mexico off the Texas-Louisiana coast this year is likely to be the biggest ever and last longer than ever before, with marine life affected for hundreds of miles, a scientist warned. 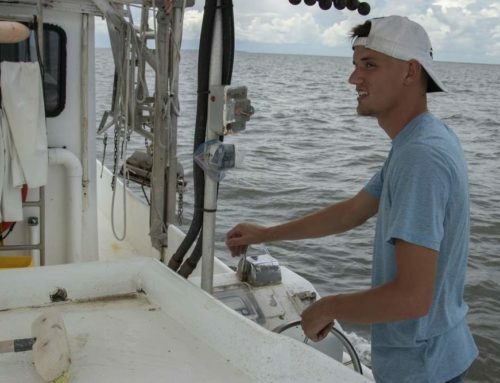 "It’s definitely the worst we’ve seen in the last five years," said Steve DiMarco, a Texas A&M University professor of oceanography who for 16 years has studied the Gulf of Mexico dead zone, so named because the oxygen-depleted water can kill marine life. 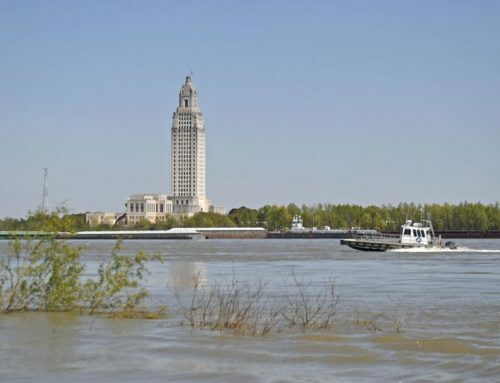 The phenomenon is caused when salt water loses large amounts of oxygen, a condition known as hypoxia that is typically associated with an area off the Louisiana coast at the mouth of the Mississippi River. The fresh water and salt water don’t mix well, keeping oxygen from filtering through to the sea bottom, which causes problems for fish, shrimp, crabs and clams. 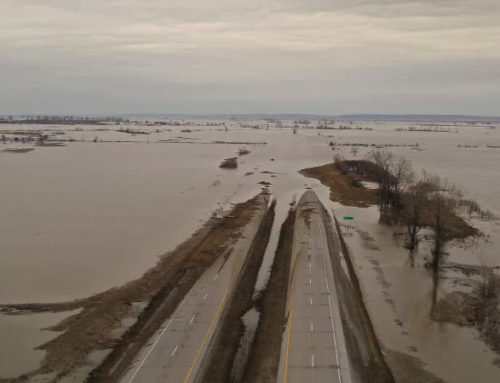 This year’s dead zone has been aggravated by flood runoff from heavy spring rains and additional runoff moving into the Gulf from record floods along the Mississippi. DiMarco, joined by researchers from Texas A&M and the University of Georgia, just returned from an examination of 74 sites between Terrebonne and Cameron, La. He said the most severe hypoxia levels were recorded in the mid-range depths, between 20 and 30 feet, as well as near the bottom of the sea floor at about 60 feet. 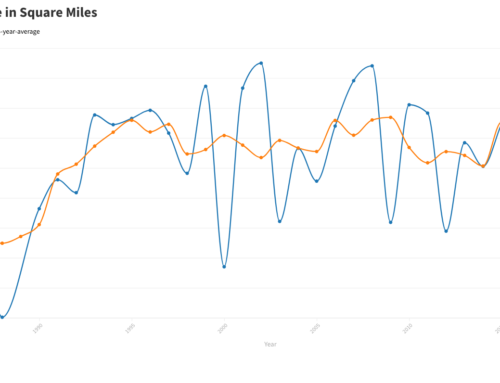 Some of the worst hypoxic levels occurred in the western Gulf toward the state line. "We saw quite a few areas that had little or no oxygen at all at that site," DiMarco said Tuesday. "This dead zone area is the strongest we’ve seen since 2004, and it’s very likely the worst may be still to come. 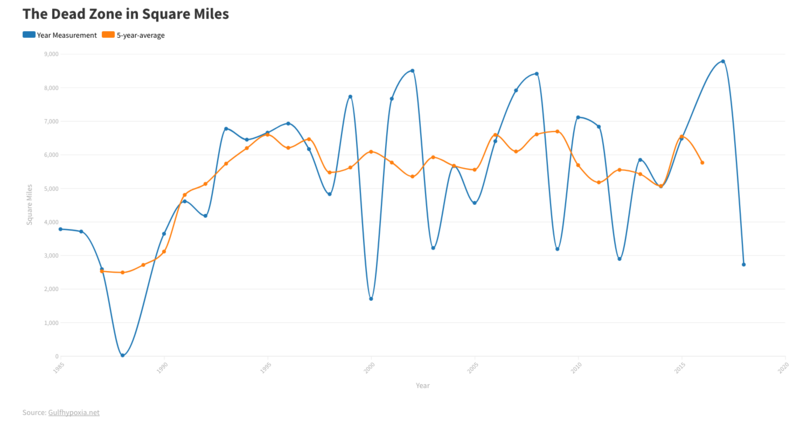 "Since most of the water from the Midwest is still making its way down to the Gulf, we believe that wide area of hypoxia will persist through August and likely until September, when it normally ends." 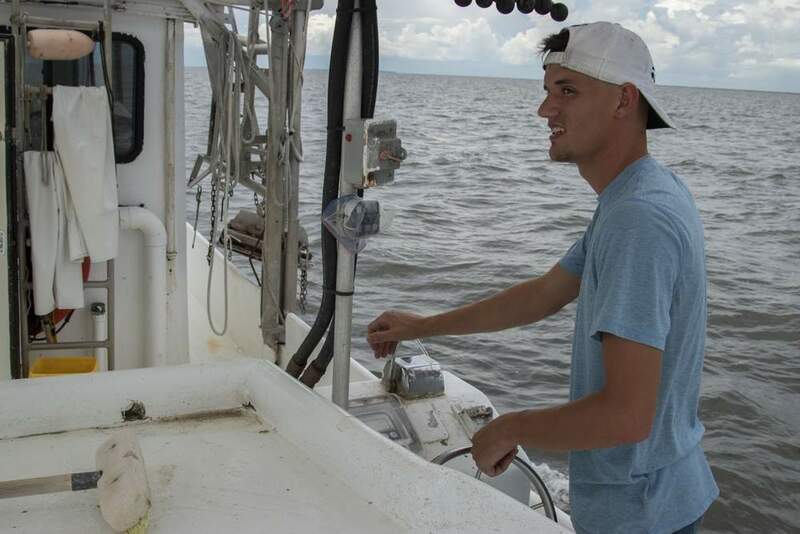 Last year, DiMarco discovered a similar dead zone off the Texas coast where the rain-swollen Brazos River emptied into the Gulf. The zone off Louisiana reached a record 7,900 square miles in 2002. 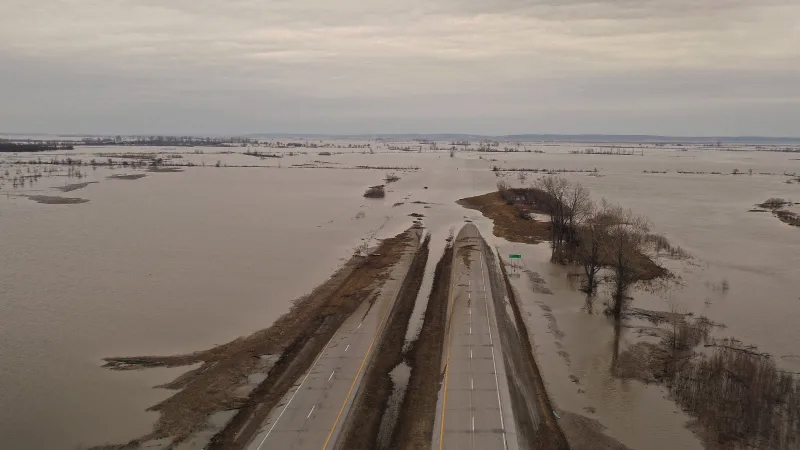 A recent estimate from the National Oceanic and Atmospheric Administration and Louisiana State University shows the zone, which has been monitored for about 25 years, could exceed 8,800 square miles this year, an area roughly the size of New Jersey. 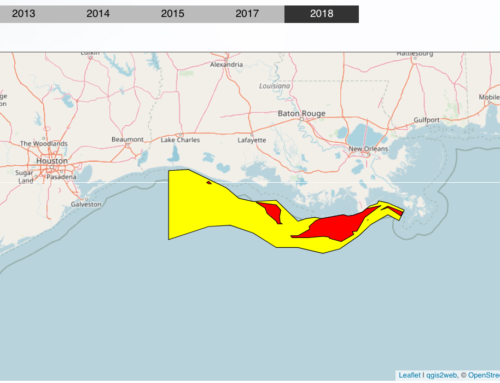 DiMarco said a tropical storm or hurricane likely would have no impact on this year’s zone, believed to be caused by nutrient pollution from fertilizers that empty into rivers and eventually reach the Gulf.